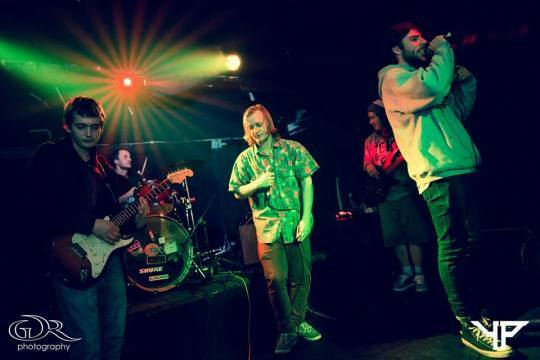 The No Problemos are a live hip hop band and collective hailing from the Kapiti Coast, just outside Wellington City. Their unique sound comes from their diverse range of influences within a community that covers all elements of hip hop, music and art culture. Since releasing their first album in January 2013, their momentum has grown tenfold – building a huge local following throughout Kapiti and Wellington City, winning theaudience.co.nz Wildcard Chart for August and putting on some epic parties with some of the best acts in NZ hip hop. February 2014 saw the release of their third album ‘Somethin’ Real’, which beautifully blended live instrumentation with electronic production and was met with an excellent response. With a full live band and a gang of MCs, The No Problemos bring an energy to the stage that is hard to come by in today’s scene.